Start your pre-Christmas clearout at our Car Boot Sale on Sunday 21 October – 10 am to 12 pm. 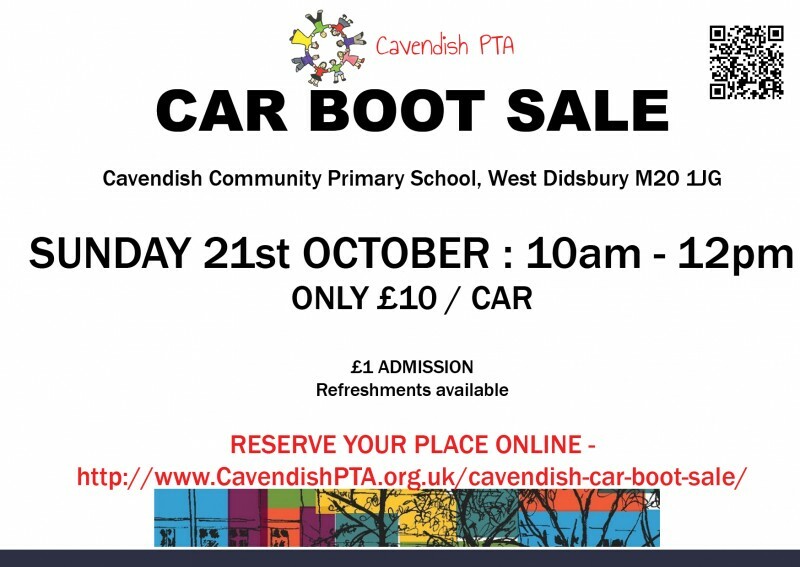 40 car spaces available – Only £10 per car payable through ParentPay or via PayPal below. All members of the public are welcome to attend this event. We are now offering pitches at our Car Boot Sale to members of the public. You can purchase a stall via our PayPal account.